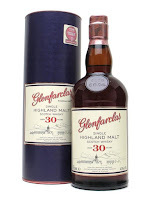 A few Glenfarclas today. Direct fired stills and Sherry casks gives the whisky a heavy, old school feel. The older ones are quite reasonably priced and often available. I've had the 10 before and didn't really like it. Had the 15 a few months ago and liked it but wasn't the Sherry bomb I was expecting. So I thought I'd try some of the others and really test the range! Nose: Sherry, marzipan, almond, complex spices. 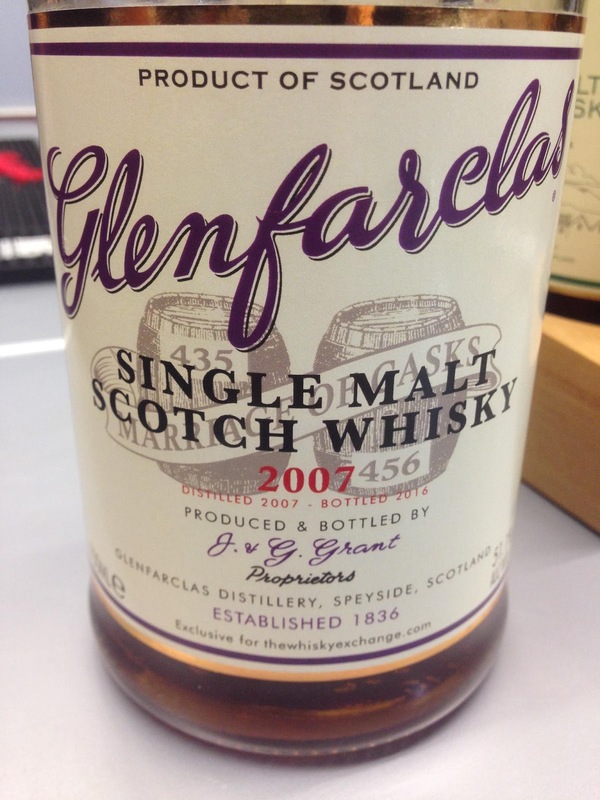 Taste: Complex, balanced, spice and oak, marzipan and stewed fruit. Finish: Long length. Mouth watering sweetness. At 46% this would be wonderful I think. This has just been repackaged in a lovely red box, in the style of the warehouse doors. Nose: Rich Sherry, lots of oak, milk chocolate. Taste: Malty, natural sweetness, refill oak tannins, some dry raisin. Finish: Medium length. Dry, coffee and 90%+ chocolate. A bit too much on the oaky side for my taste. Nose: Great balance, spice, oak, Sherry, cherry and orange. Taste: Sweet, soft, old notes, oak, leather, tannins, cherry and orange, again lovely balance. Finish: Medium/Long length. Oak, Sherry and tannins. Overall, a great balance between the fruit and oak. Nose: Lovely, meaty Sherry style, good balance, plum, red grape, some smoke? Taste: Soft, then power! Big intense Sherry, powerful spice, then more oak. Finish: Long length. Meaty, red berry and oak. From 1st Fill Oloroso casks 435 & 456, bottled for The Whisky Exchange. 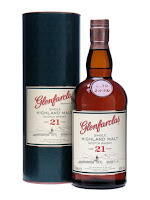 Overall Glenfarclas impressed me this time around. It does seem to do well with age, I just wish that some were at higher strengths. They keep their prices reasonable though, which is always a plus.